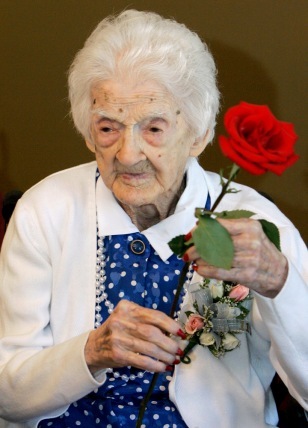 Edna Parker holds a rose that she was given during a birthday party for her in Shelbyville, Ind. on Friday. Parker, who was born April 20, 1893, is the oldest known human. She will turn 115 on Sunday.